Love is an active noun. “Love isn’t a state of perfect caring. It is an active noun, like “struggle”. No one is perfect. Not even you or me… and yet we are all loved, and can love. Who will you actively love today? Let’s put some sweat equity into loving someone… show you love her or him exactly the way they are, right now and here. Communicate. Talk, text, or write. Use a sticky note on the bathroom mirror. Touch. A hug, handclasp, fist bump, shoulder rub, footsies, sideways nudge shoulder-to-shoulder, and if they’re your child, parent or spouse, you’ll know from experience what touch is most appreciated. Time. Yes, time. That precious commodity you say you don’t have enough of… take the time to invest in that someone. Do something that person values – together. Hint: it’s probably not watching TV. A Gift. No need for huge investments. What is that someone you are seeking to love missing in their life? What will bring a smile to their face? Buy/find that and give it to her or him. Think of something simple, but make the presentation of that simple thing spectacular. (Who doesn’t have fun opening a big box, to find a smaller box and opening that one to find an even smaller one…?) Remember, It’s the “air” in the balloon that makes the balloon special! Serve. What chore or activity, if done by you, will make a difference in that person’s life? Make a meal, vacuum, clean up, organize, shovel, dust, fill the car with gas, sweep, or take out the garbage. 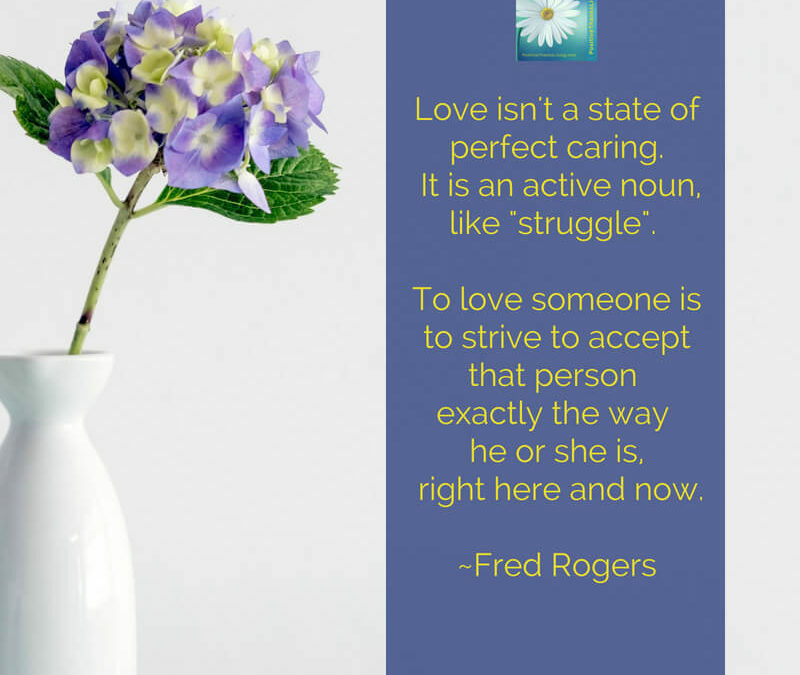 Take action to demonstrate that love is an active noun. These ideas are from a special book by a fellow we admire, Dr. Gary Chapman. His books are classic, and the simple ideas can be put into practice for anyone. 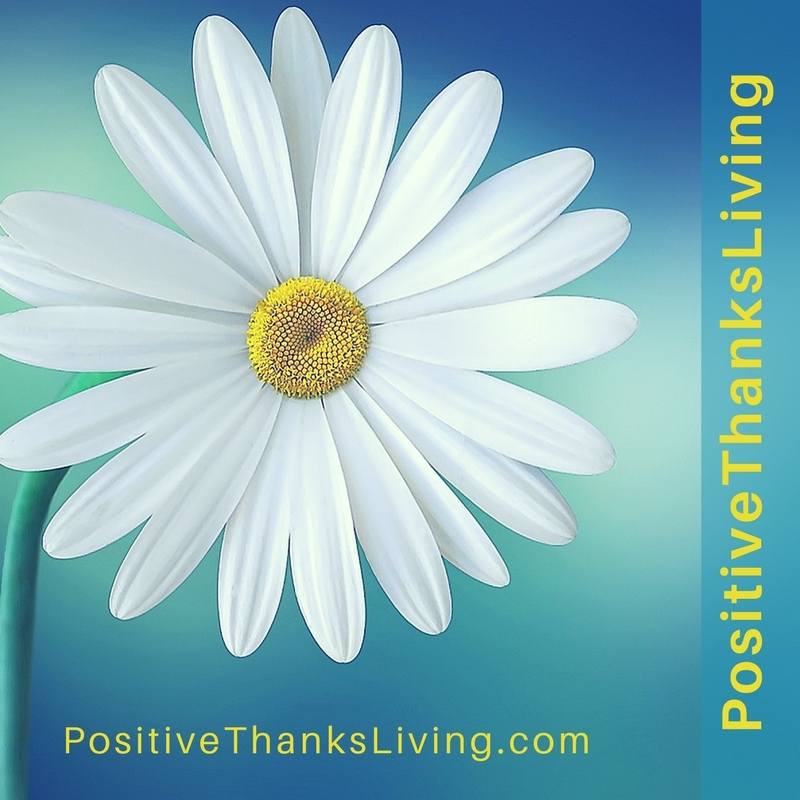 His premise is that one of these five actions will resonate the most – it’s like the primary language of love that you speak. The key is to find the action that the other person translates as “speaking love”. I suggest you try all five as you lean into loving that someone. Love is an active noun. DO love. Here are the links for the books by Gary Chapman about the Love Languages. He’s covered all kinds of relationships: couples, singles, children, teens, and men. If you’re curious what your own “love language” is, then go to his website and complete a quick survey. 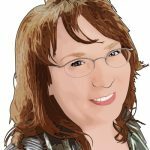 These books are affiliate links – should you click and purchase, I will receive a small commission at no cost to you. 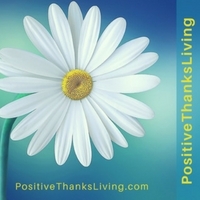 Thank you for supporting PositiveThanksLiving. 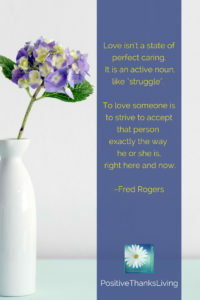 I love this Fred Rogers quote. I hadn’t heard it before. When my husband and I were taking our marriage preparation classes, we took a test to discover our “love language.” So many times I have used that information to show my love for him in a way he could most easily see it. It really is a good tool.